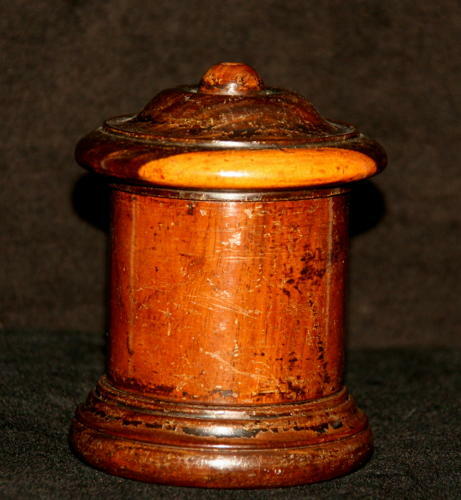 Diminutive Victorian Lignum Vitae String Box. Lovely little size. Needs someone to polish it.